The mothership, on Mass Ave. WAMU is up in Tenleytown, if you were wondering. This issue affects a much larger population than only WAMU 88.5 and our Washington community. If H.R. 1076 becomes law, many local public radio stations, particularly those in rural areas, would have difficulty continuing to provide the news and public affairs programs that millions of Americans rely on every day. Diverse voices are also at stake. This bill would affect the ability of stations to access Native Voice 1, the Native American Radio Service. 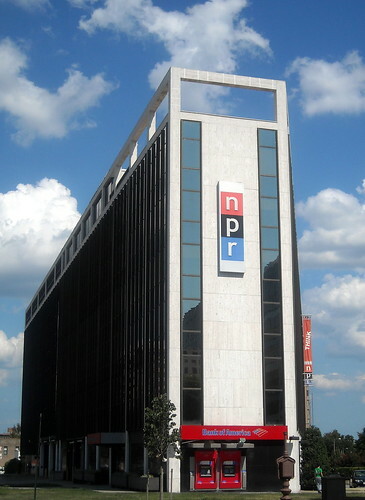 It would impact the work of the Latino Public Radio Consortium and the African American Public Radio Consortium, which create and distribute programs that showcase those diverse perspectives that mainstream public radio wants and needs to hear. When I was at Public Media Camp last year, I heard a speaker mention that in some rural areas, public radio is the only source of culturally-diverse or international news and programming. At a time when newspapers around the country are shrinking, if not closing, that’s a sobering thought. If H.R. 1076 passes, who will be silenced? And how would that impact all of us? Which D.C. Ward Has The 'Ideal' Racial Make-Up?